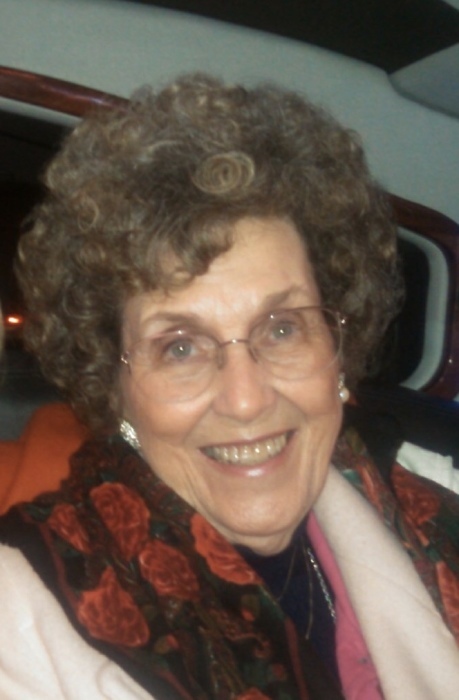 Mary Ellen Roe, 88, of Winfield, Illinois passed away at 3:20 p.m. Wednesday, February 6, 2019 at the Dupage Care Center in Wheaton, Illinois. She was born June 26, 1930 in LaHarpe, Illinois to the late Tom and Marie (Kemp) Porter. She married Harold J. Roe, who was the love of her life, on August 28, 1950 in Pocahontas, Arkansas and was married for 58 ½ years until his death in May of 2009. She is survived by three children, Patricia Berger of Excelsior, Minnesota, Jim (Cindy) Roe of Thornton, Colorado and Mary Kay Lunt of Winfield, Illinois; eight grandchildren Jim Roe, Bill Roe and family. Christopher Sornberger, Michael Sornberger and family Farrah Roe, Chad (Jennifer) Lunt, Ryan (Emily) Lunt, Luke (Rosemarie) Lunt and 13 great grandchildren. She was preceded in death by her parents, her husband Harold Roe, her daughter Gloria Glicksman, her son-in-law Art Berger, four brothers, Lewis, Robert, Richard and Tom Porter; four sisters, Kate Seals, Joyce Lohmeyer, Rose Woodworth Neustadt and Betty Johnson. After graduating high school in LaHarpe, Illinois, she moved to Macomb, Illinois and worked in the restaurant business. She and her husband purchased Roe’s Dairy in 1955 and purchased the Roe-Boat Supper Club in 1966. She worked there until their retirement in 1990. Her passion was working in the restaurant. She loved the people and missed them terribly after she retired. Another passion she had was watching her grandchildren play sports. She often said it was the best time in her life. Visitation will be held at the Clugston-Tibbitts Funeral Home in Macomb on Monday, February 11 from 5:00 to 7:00 p.m.. Private family burial will be at Forest Lawn Memory Gardens in Macomb. In leiu of flowers memorials may be made to the Mary Roe memorial fund.